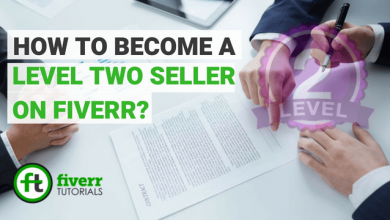 Fiverr terms are some seller-concerned key terms that they need to understand. 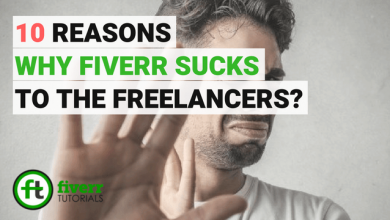 Especially the newcomers to the fiverr website, they find it difficult to understand these fiverr specific terms and not been able to utilize them properly. 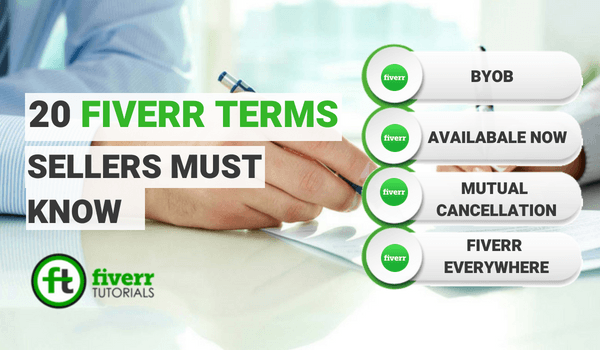 Here we’ve compiled some fiverr terms which are really important for fiverr sellers to conceptualize. 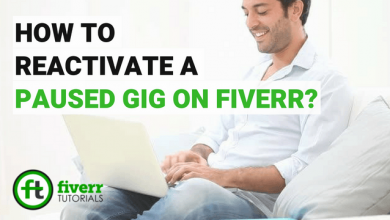 Fiverr buyers are the registered fiverr users being able to purchase fiverr gigs. “Available Now” is one of the latest and very helpful fiverr terms for the sellers to stand-out among the lot. 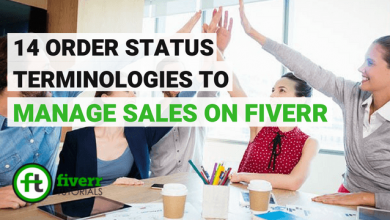 This feature allows fiverr sellers to show the buyers that they are online, active, ready to respond to their messages and eager to start working on their project right now. 1- Must have completed at least 5 orders on fiverr. 2- Less than 5 pending orders. 3- Should have less cancellation rate. NOTE: It is fiverr recommandation that you use fiverr mobile app so that you can respond to messages immediately whereever you’re. If you’re working in shifts set the timer, this will facilitate you to turn the Toggle Off automatically when you’re not available. REMEMBER: When you’re on a shift and don’t reply within 5 minutes, the Available Now toggle is set to OFF automatically. And if you don’t reply for three consecutive messages, then you will not be available to utilize this feature for next 30 days. Customer offers is another one of the healthy fiverr terms that help its sellers to be active and send their custom offers to interested and possible buyers. Doing this, sellers can enhance their revenue and the buyers base. How to Send Customer Offers? 2- Open interesting message in that list and click “Create an Offer”. 3- Select the gig of which you’re going to create an offer and explain the offer by providing all the information. 5- Add the expiration time and the number of revisions you’re going to offer in your order. 7- After you have definded your gig criteria, finally click “Submit Order”. 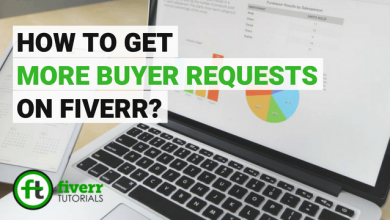 Learn the Art of Sending Effective Buyer Requests as a Seller. The BYOB is a Fiverr initiative that facilitates its sellers to efficiently manage their buyer’s projects, free of cost. This Fiverr program helps its top-rated sellers to expose their services to the new customers. This feature allows the Fiverr sellers to take and promote their business anywhere. For example, the seller can create a custom offer and embed this offer link to either his/ her blog, Facebook, or send in messages as well. 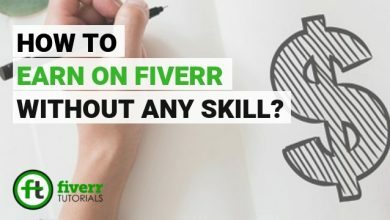 How to Use Fiverr Anywhere? 1- Click “Selling” > “Promote Yourself”. 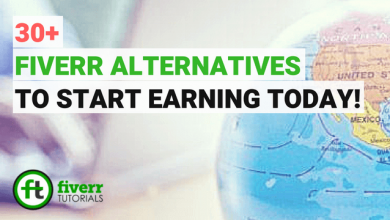 2- Click “Generate Custom Offer” in the “Fiverr AnyWhere”. 3- Write what exactly you’re offering, in “Description”. 4- Select the gig which matches your offer in the “Relate to a Gig” section. 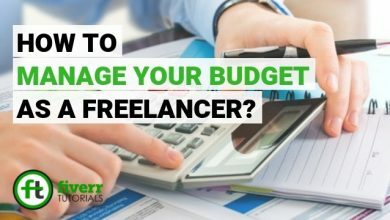 5- Set the project amount in the “How Much You Would Charge”. 7- To embedd this offer on your website, click “Grab Code” in the “Embed Custom Offer” and post the Iframe on your blog. 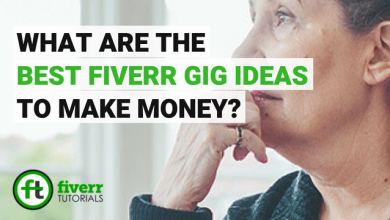 Meaning to this Fiverr terms is the gig ranked on the Fiverr homepage or a certain category page with “Featured” banner on its gig thumbnail. 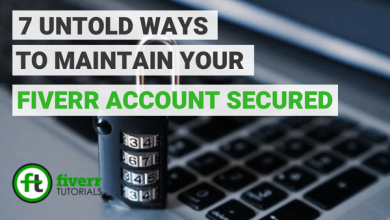 Remember: A seller can’t apply for this feature. It’s only the Fiverr recommendation. This section displays the sellers’ statistical overview of the activities on fiverr.com. This area includes the “To Do’s” list reminding seller of the actions to take immediately and the seller response rate, notifications, order status etc. 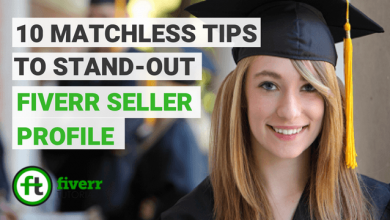 Pro sellers are the Fiverr’s first-class sellers. This class of sellers enjoys a number of benefits like more search exposures towards the buyer’s required service, fastest payment clearance, CSM and much more. This feature allows sellers to bring their payments to their hands. 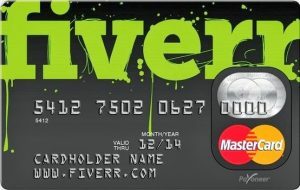 Fiverr revenue card is supported by Payoneer and is powered by MasterCard. It’s like a debit card that allows sellers to lead it with Fiverr revenue and use it as a regular credit card. Learn More about Fiverr Payment Process! 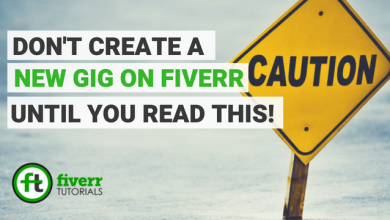 Any service provided by the sellers on fiverr.com is called, Fiverr gig. For example, “I will write 500 words article for $5” is an example of a Gig title. Gig extras are the options to offer greater services in the same gig for additional prices. For example, If you’re offering 500 words article for $5, then you can offer an additional 500 words in the same article with some additional budget set by the seller. Gig Metadata is describing your gig in the form of keywords related to your gig. 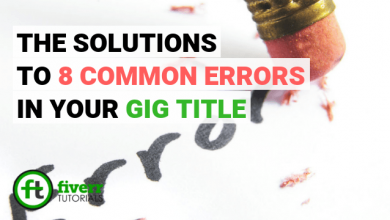 This helps sellers in fastening their gig ranking when a buyer searches a service related to his/ her gig. For example, Gig Metadata for article writing gig maybe the language of the article, the file type etc. A seller can achieve different levels on Fiverr depending upon his/ her performance, services and activeness on the site etc. “Level-One”, “Level-Two” and the “Top-Rated Seller” are the sellers’ levels on Fiverr. Sellers have “Milestone” option while sending custom offers dealing with longer and complicated projects. Milestone ensures that the seller will receive his/ her payment on completing the task in the project thus constructing trust for the buyer. A Mutual Cancellation is the option to cancel the order by the mutual agreement of buyer and the seller. It can be initiated both by both parties. The order is automatically canceled when the buyer doesn’t respond to the offer within 2 days. Progress bar with the time left in expiring the order is visible both to the seller and the buyer, and both have an authority to bring it back to the previous status. Remember: Once the order is completed, then there is no rule of Mutual Cancellation. Out of Office mode allow the sellers to let their buyers know that you’re out on vacations etc. and when you will return. 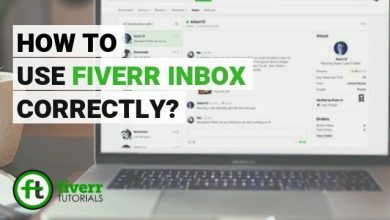 Learn more on Does Fiverr out of Office effects your Selling? The response rate is the average response of how the seller quickly responded to the buyer’s first message within 24 hours. Tags are the keywords helping sellers create their Gig relevancy with variated buyer’s searches. Learn more techniques to magnify the Search Tags Usage!